This year's buzzwords are 5G and folding screens, and LG was not about to be left out of that conversation. 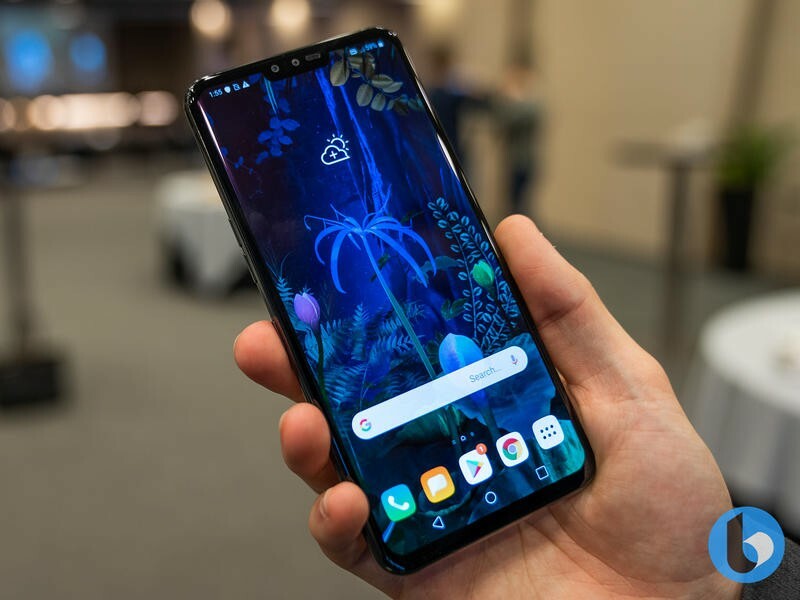 Alongside the shiny new G8, LG has also revealed the LG V50, which can be best looked at as an evolutionary upgrade to the barely-four-months-old V40, packing in 5G, some new enhanced camera features, and an add-on case that brings a second screen to the party. 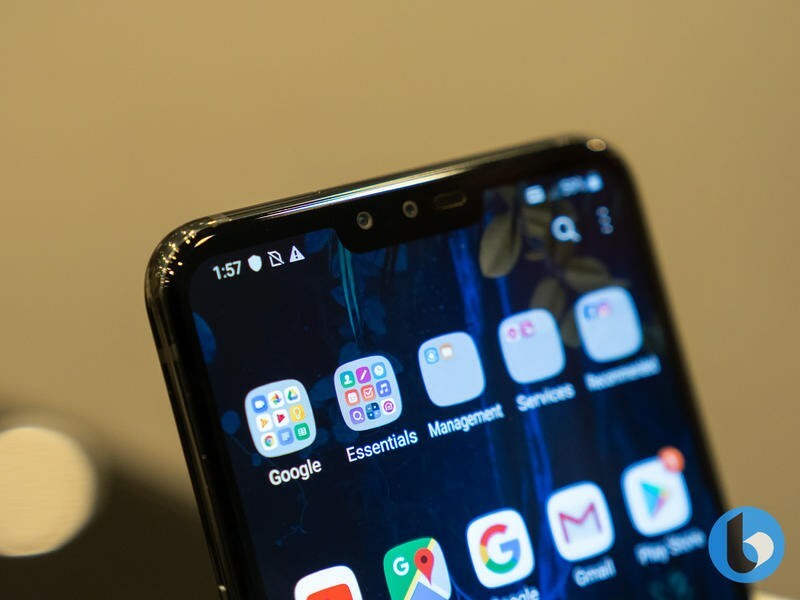 If you know the LG V40, then the LG V50 ThinQ 5G will look and feel very familiar. 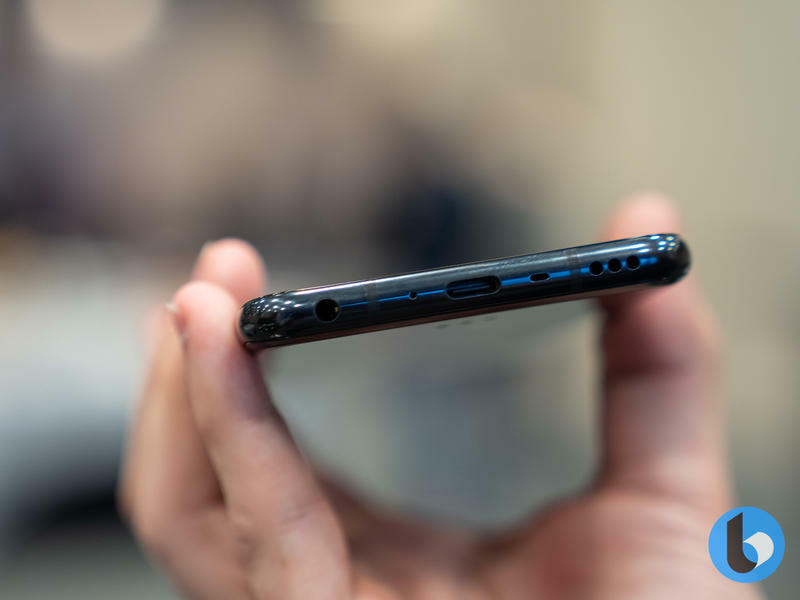 The only noticeable change is that it's a sliver thicker and heavier, all to accommodate the larger 4,000mAh battery and heatsink needed for the 5G radio. This increased thickness had the benefit of raising the back glass to the same level as the camera bump, meaning the row of three cameras now sits flush with the rest of the back. This did have the side effect of dropping the visual frame around the lenses, so with the offset flash window to their right it now looks awkwardly off-center. Apart from that, it looks and feels basically the same — same 6.4-inch OLED display at the same 3120×1440 resolution and the same 19.5:9 aspect ratio. The processor gets a bump, from a Qualcomm Snapdragon 845 to the Snapdragon 855 (necessary for the 5G when partnered Qualcomm's X50 modem). The V series has been focused on the cameras from the start. 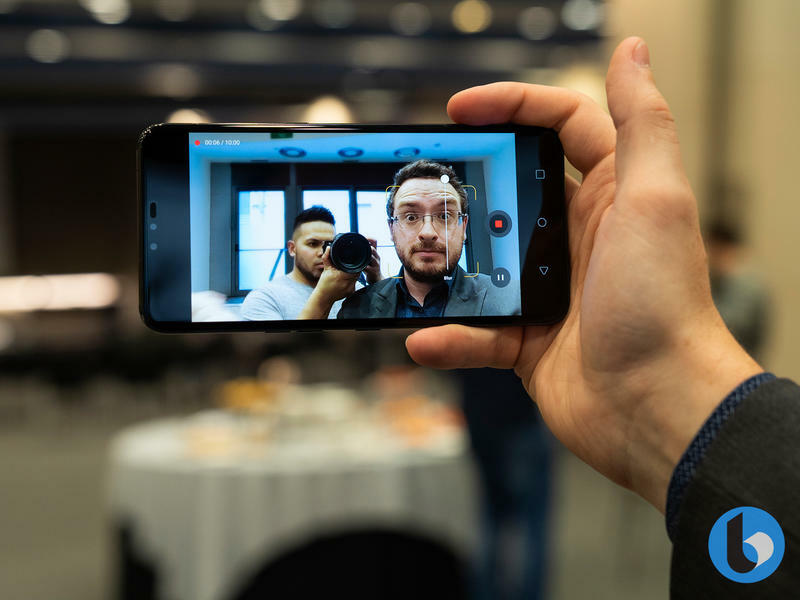 Each generation has tried something new, from the dual front-facing cameras of the V10 to the V40's triple rear cameras. The V50 carries over the same exact imaging setup as the V40: a pair of front-facing cameras (one standard 80º angle 8MP, one 90º 5MP) and a trio on the rear (a 2x 47º zoom lens in front of a 12MP sensor, another 12MP at a more standard 78-degree angle, and an ultra-wide 107º 16MP shooter). There's some new software at work here for the camera, in the form of the same artificial depth-of-field blurring for video that is on tap for the LG G8. This works by using either the standard lens with depth data from the wide camera, or the telephoto with depth data added from the standard camera. While LG stressed that this was pre-production software, there's no denying that it's just not good. In fact, it's bad. It could improve with fresh software, but this early implementation of the effect just is not ready for primetime. Someday, but not today. The other focus of the V-series has high-quality audio, and that continues with the V50. In fact, it's exactly the same as the V40, with a 32-bit quad DAC, stereo speakers, and LG's "Boombox" audio engineering that allows the phone to use a hard, resonant surface as a passive amplifier. It's a neat trick, but mostly a gimmick. LG's folding phone is a… case? Samsung has an "innie" folding phone and Huawei decided to make an "outie" folder, but LG decided not to roll with the bendy screen (even if they were the first to make a bendy OLED phone by several years). Instead, LG's entry into the first generation of folding phones is the Dual View case for the LG V50. It's basically a folio case, but instead of a flap of cloth or plastic or leather to cover the screen and hold a few cards, the cover is a 6.2-inch OLED screen. This case is a little chunky, in large part to give the two-axis hinge for the display something to mount into. The hinge is smartly designed, snapping closed but not requiring much force to open (you wouldn't want that screen just flopping about in your bag), snapping again at 180º open, and snapping once more when folded back behind the phone. 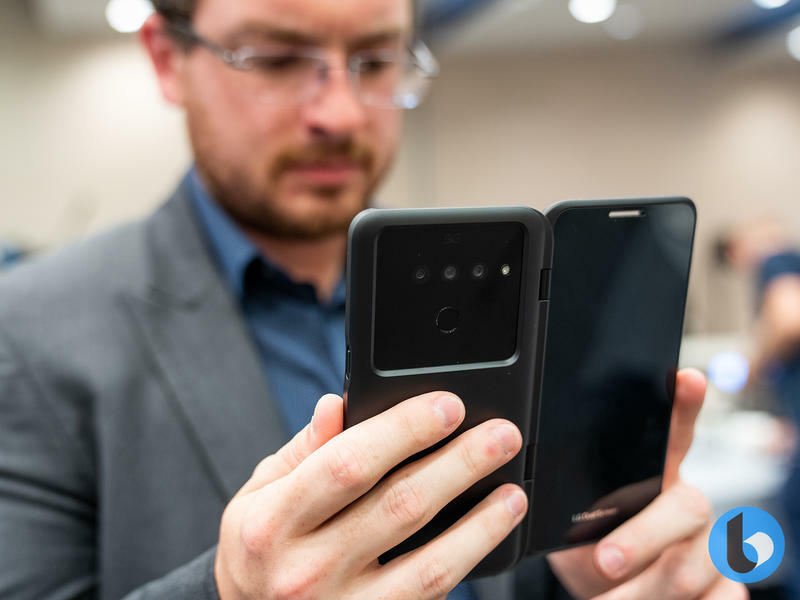 It connects to the phone over a combination of two pogo pins for power, a proprietary short-range high-bandwidth wireless connection to transmit display data to the screen, and a third pogo pin to transfer touch data back to the phone. 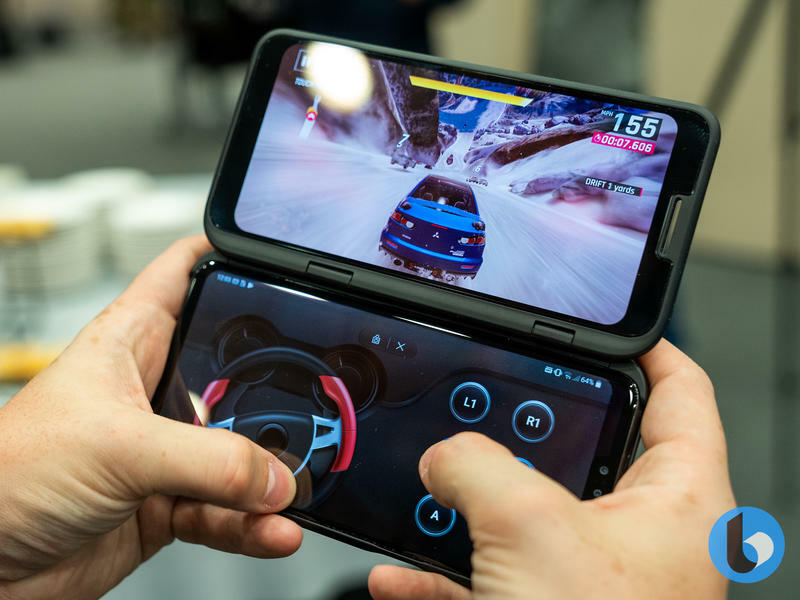 LG showed off several use cases for the Dual View, including running two apps side-by-side, a game pad (which had to be manually activated every time you opened a game, but is claimed to be compatible with every Google Play Store game). 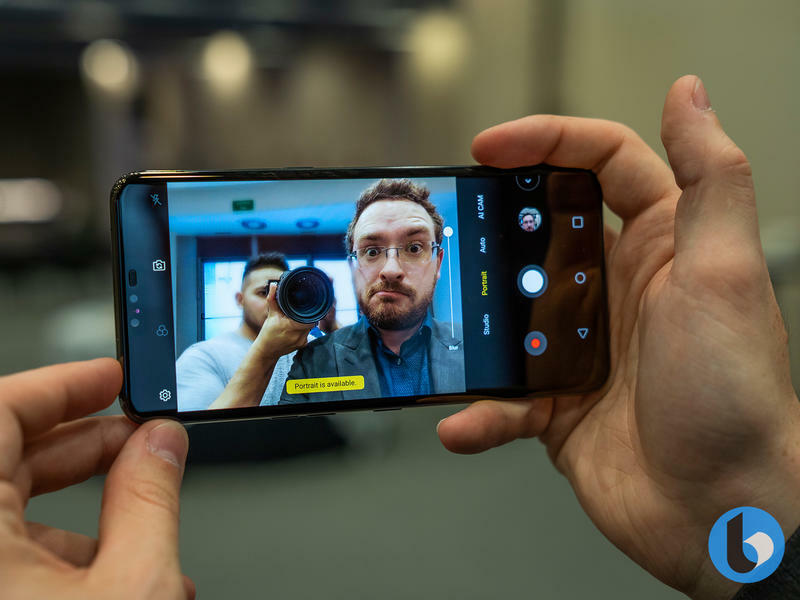 It also can work with the camera, giving you a second screen to preview all three cameras at once, review your last-shot photo, serve as color-adjustable fill light for selfies, and a full-screen view in video calls of both your video and the other person's video (no word on what video call platform that would work with, though). It's a really neat concept, but like many of LG's accessories it's a neat concept that's lacking in marketable execution (looking at you, LG G5 modules). Though we don't yet have pricing, the LG V50 will not be a cheap phone, nor do we expect this case to be cheap. Though it's a unique take on the folding phone, and likely thinner and more durable than the true foldables, it offers questionable value. 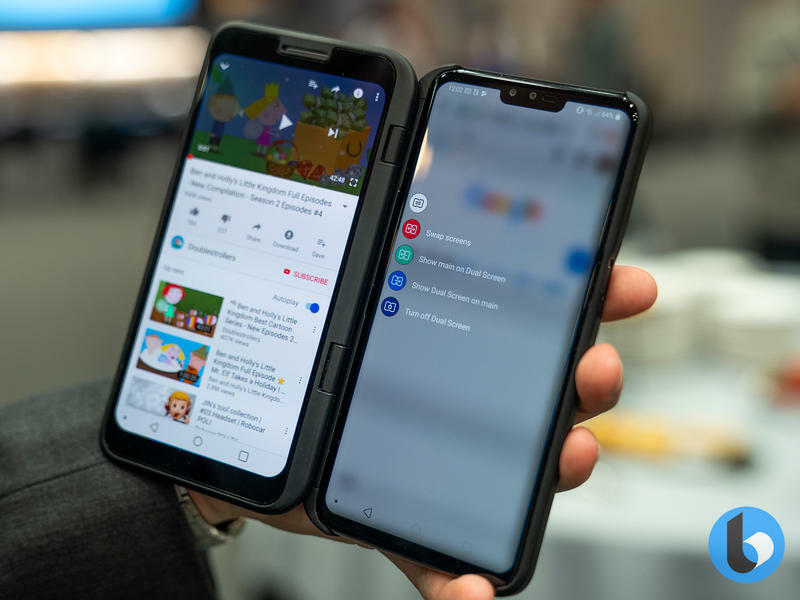 Unlike the Samsung Galaxy Fold or the Huawei Mate X, you have to open the Dual View case to get any use out of the phone, nor can you use the two screens as one continuous surface. Once again, it's a neat concept, but unlikely to catch on with consumers. And few consumers will be able to even buy the Dual View case — it won't be coming to the United States, and V-series availability outside of the US and Korea has been rather limited. It's been four months since the V40 landed on this world, and now we've got the V50. 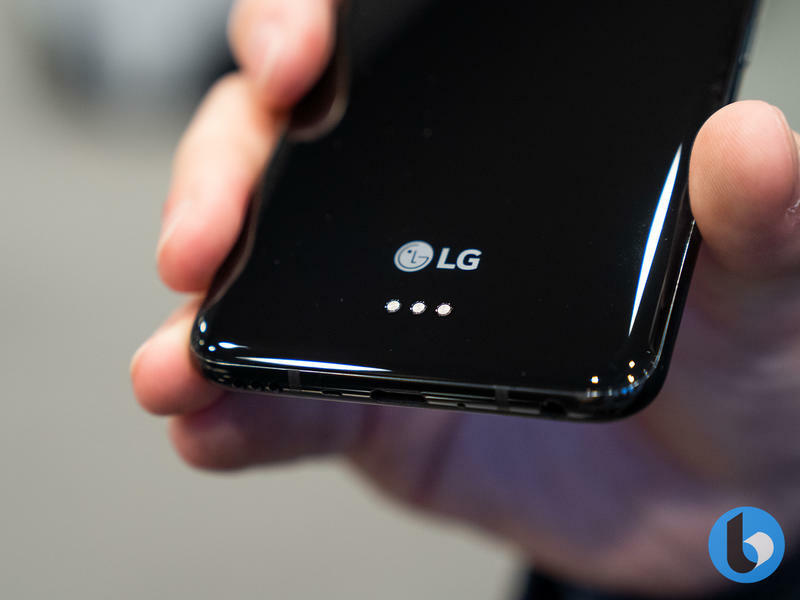 It seems like LG felt it had to release 5G and folding devices at MWC 2019, because that's what Samsung and Huawei and others were doing. The 5G part makes some sense; it's what the carriers want and they'll put whatever 5G devices they can get on the shelves once their networks are ready, even if none of the manufacturers seem particularly excited by it. 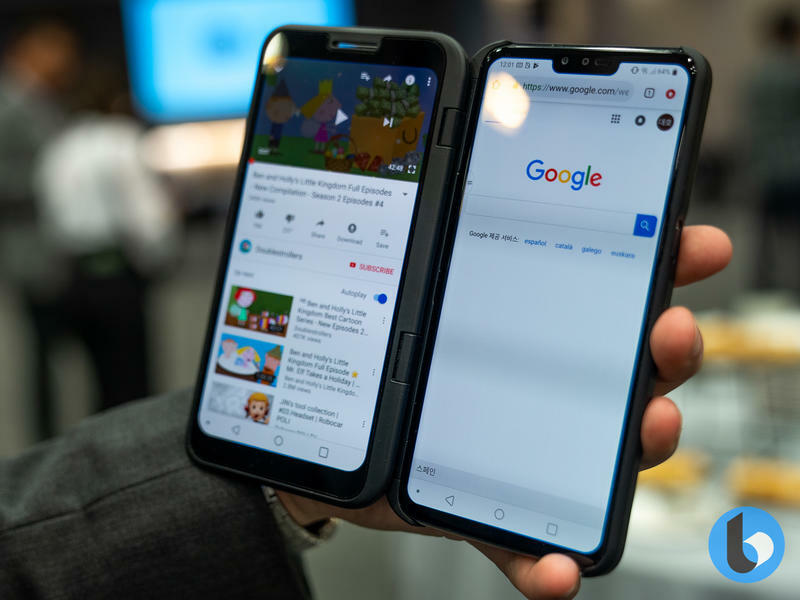 But the Dual View case, despite its hardware and software integration with the V50, feels cobbled together in reaction to competitors getting their folding phones out earlier than LG had expected. And just like these true folding phones, there's not much of a justifiable reason to get one yet. If you want a phone with excellent cameras and audio, you might be better served by the LG V40. If 5G really gets you jazzed up, then maybe spring for the V50 — it's coming first to Sprint (with a light-up 5G logo on the back! ), with a millimeter wave version for Verizon 5G due next, and AT&T and T-Mobile variants down the pike. And if you really want all of that plus a second screen folio case, maybe wait for generation two.